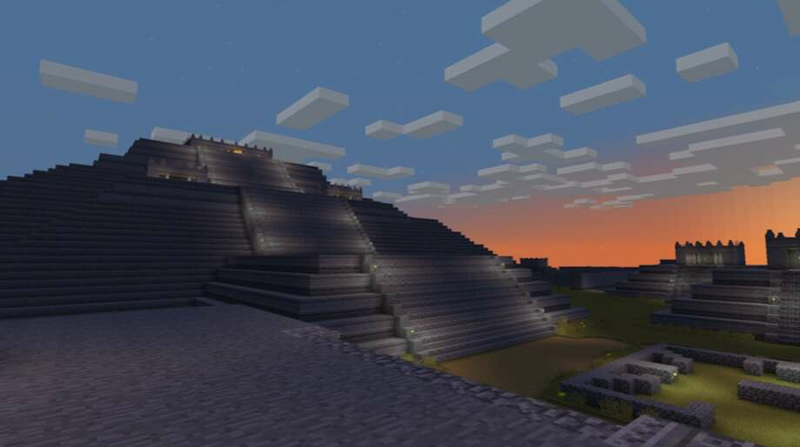 Minecraft meets museum in the de Young's latest exhibition – a virtual recreation of the ancient Mexican city Teotihuacan, designed with help from a Marin teenager. The Minecraft recreation is part of the de Young's “Teotihuacan: City of Water, City of Fire” exhibition, featuring artifacts from the Mesoamerican metropolis located 25 miles northeast of Mexico City. The wildly popular video game enables museum visitors to virtually walk the streets of the now crumbled city, before time wore its pyramids and pathways down to ruins. The map marks the first time an American art museum has employed Minecraft – a block-building game released in 2011 – in its digital outreach efforts, de Young officials said. Trevor Fox, a 14-year-old San Marin High School student with a knack for Minecraft, assisted in the creation of the digital map, which features major Teotihuacan landmarks like the Moon and Sun pyramids.